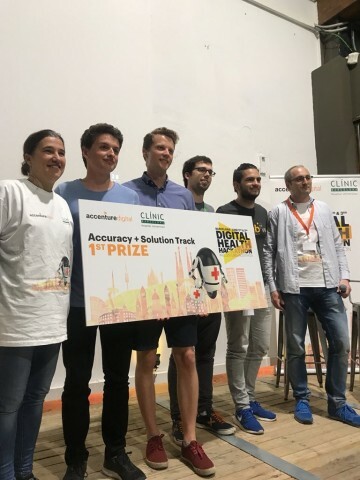 The Digital Health Hackathon 2018, organized by Accenture and the Hospital Clínic of Barcelona, took place on the 2nd and 3rd of June in the Catalan capital. The competition aimed to develop prediction algorithms capable of anticipating the likelihood that patients with neutropenia develop bacteremia. Patients subjected to certain treatments see their immune system affected by a state of low defenses, neutropenia. In these conditions, it is especially dangerous to contain bacterial infections, especially bacteria resistant to multiple types of antibiotics. TV3 echoed the challenge, which had about 60 participants, most of them specialists in data analysis or automatic learning. They had an anonymized dataset of patients, with information such as the amount they had taken from various antibiotics, the time since the last episode of fever, or the list of rooms they had passed. Using 'feature engineering' to forge new features (properties or columns of information), and applying the automatic learning models they deem most appropriate, participants should be able to predict which patients with neutropenia are more likely to contract bacteremia. The 5 teams with the most accurate predictions (calculated according to the area under the ROC curve) presented their solution to the jury. The team formed by Fabian Steuer and the inlabers: Pau Oliver, Juanjo Vázquez and Marc Vila won the first prize. 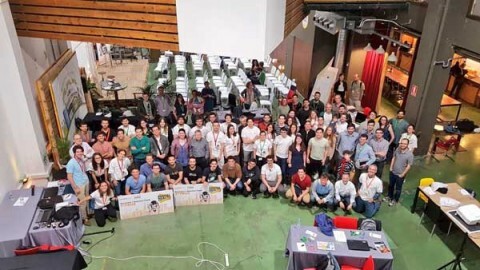 In addition to the developed model, they presented a platform proposal for doctors for the visualization of data and the interaction with the infection predictor.